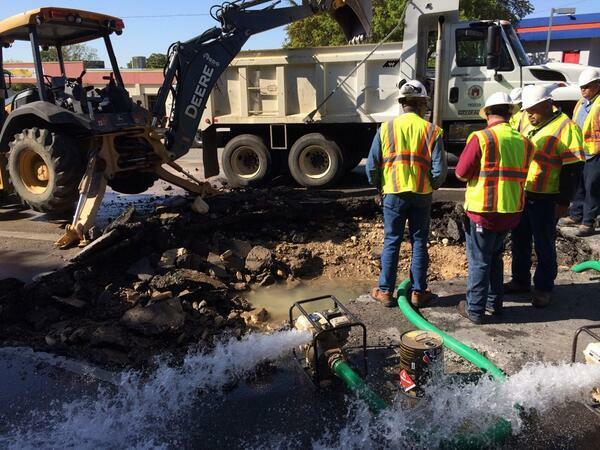 Austin Water crews work on the main break at 2222 near MoPac. An early scene of the water main break at 2222 shows water on the roadway. Some collapsed portions of the road are visible in this newer photo of the scene, tweeted by Austin Water. After the water is stopped and the main is repaired, a separate crew of engineers will need to be called out to assess the damage to the roadway. Those engineers will determine if 2222 needs additional repairs before being reopened. Roads remain closed on RM 2222 between Parkcrest Drive and MoPac. The intersection of Balcones and 2222 has been reduced to one lane of traffic in either direction. Original story (April 9, 8:45 a.m.): A water main break early this morning is causing parts of the road to collapse on RM 2222 near MoPac. The roadway damage could have the stretch of 2222 from Parkcrest Drive to MoPac shut down for most of the day. Jason Hill with the Austin Water Utility explained how the water main break causes the road to cave in. Hill said roadway damage is a possibility with any water main break, but the size of the main is a good indicator of the extent of the damage. 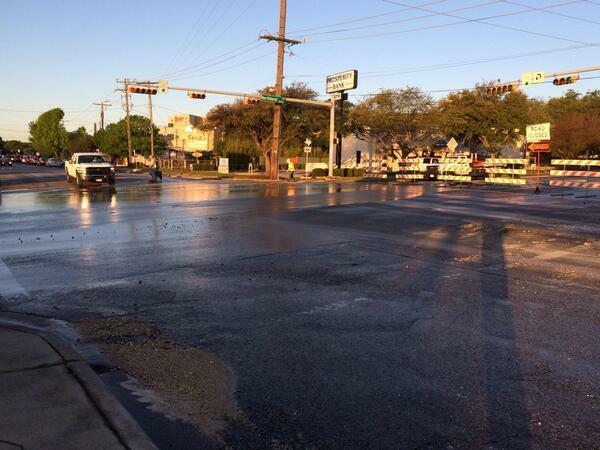 Austin Water says the main that broke this morning is a 20-inch main. 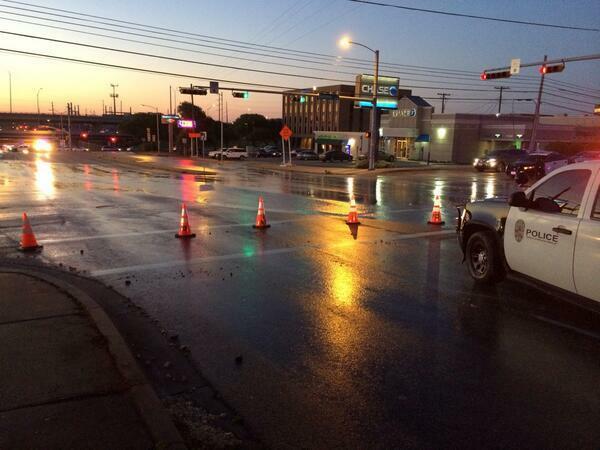 The intersection at 2222 and Balcones was previously shut down, but has reopened for this morning’s commuters. 2222 remains closed between Parkcrest and MoPac. Austin Water is updating the situation on their Twitter page.